My highest level of successes has been with Women Executives, Intrepreneurs, Leaders, as well as, individuals and groups highly motivated to achieve more personally and professionally. 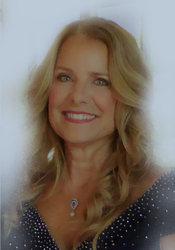 I am one of the only coaches throughout the world with a Master's degree in Counseling, Life Coaching, a Bachelor of Science degree in Organizational Communication from the University of Texas Austin, and a multi-million dollar business owner. My experiences in the financial, energy, and aviation sectors expanded my knowledge of the unique issues common to professionals at work and home. My extensive research in psychoneurology and neuroscience allows me to stand above the average mental health professional in achieving measured results in minimal time. Utilizing the latest in brain research, I identify the core drivers of the professional and personal barriers of effective, efficient, productive thinking, behaviors, and performance. As a psychoneuro coach, I have developed programs, exercises, and interactive methods expediting results. I believe every client has the potential to live stressfree, fulfilled, and successful in the workplace and home. Achieving balance is only possible from an informed and healthy mindset. I empower my clients with the information, tools, and healthy brain activity to manage all aspects of their life with confidence, vision, and intention. I am one of the few professionals who continuously study new data, research,and cutting edge methods to reach new levels of professional knowledge to help my clients. Have you worked with Katherine? Tell your friends! Katherine hasn't submitted any articles.